Definition: A graph $G = (V(G), E(G))$ is a Null Graph if there are no edges in the graph, that is $\mid \: E(G) \: \mid = 0$. We should note that null graphs always have degree $0$ since there are no edges joining the vertices. Null graphs also have $0$ edges clearly. We can say that null graphs are also 0-regular. 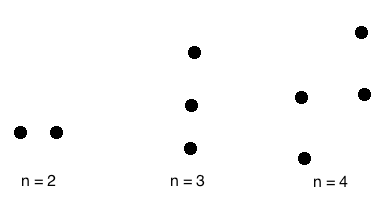 Furthermore the only null graph graph that is connected is $N_1$. All other null graphs are disconnected.